In order to complete the control operation above robots, an easy experimentation set up is selected that consists of an expert control system, a robot and a gateway. 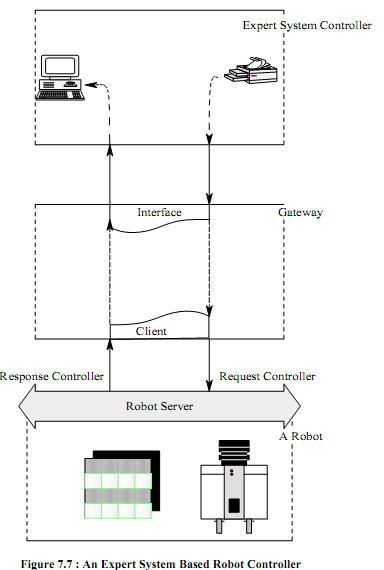 Graphical representation of the robot control is specified in Figure. This can be easily seen from the Figure as there is no direct connection between the expert system controller and robot. Such gateway couples the interface and server client that acts as a communication medium between the robot and expert system. The gateway permits improving any discrete manufacturing application with no modifying the interface.